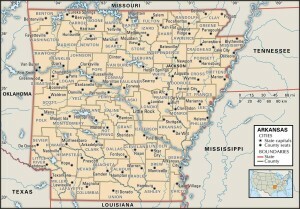 Map of Arkansas county boundaries and county seats. Maps of Arkansas are an important element of genealogy and family history research, notably in the event you live faraway from where your ancestor was living. 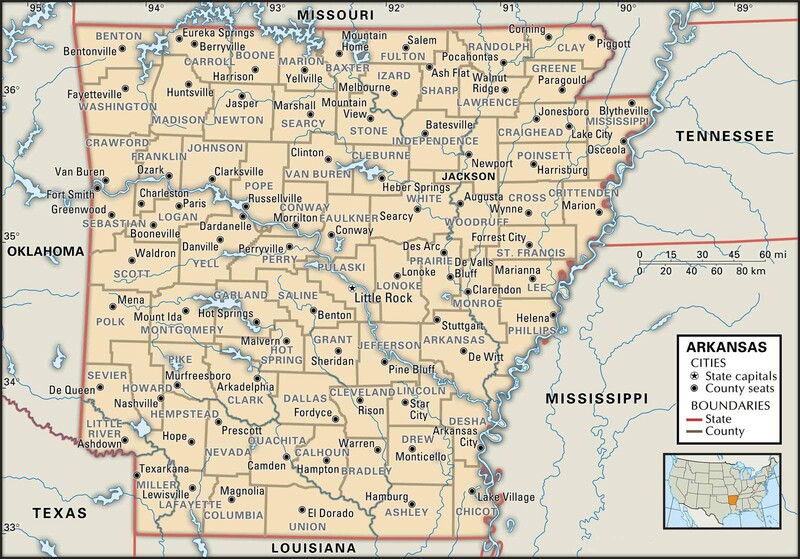 Since Arkansas political boundaries sometimes changed, historic maps are significant in assisting you find out the precise location of your ancestor’s home town, what land they owned, who his or her neighbors happen to be, and much more. Maps of Arkansas generally are likely to be an exceptional reference for getting started with your own research, simply because they provide you with significantly beneficial information and facts right away. Arkansas Maps can be a major source of significant amounts of information on family history. Arkansas borders Louisiana, Mississippi and Tennessee, Missouri, Oklahoma and Texas. Arkansas’s 10 largest cities are Little Rock, Fort Smith, Fayetteville, Springdale, Jonesboro, North Little Rock, Conway, Rogers, Pine Bluff and Bentonville. Learn more about Historical Facts of Arkansas Counties. To View the Map: Just click the Image to view the map online. In order to make the Image size as small as possible they were save on the lowest resolution. From Memdag to Norsk: A Historical Directory of Arkansas Post Offices, 1832–1971. Hot Springs, Ark. : Arkansas Genealogical Society, 1988. Township Atlas of Arkansas, 1819–1930. Revised. Hot Springs, Ark. : Arkansas Genealogical Society, 2003. Data taken from federal census, “Civil Appointment” in the secretary of state’s office, and county court records. Includes township location, date of formation and changes in name, and area covered. Arkansas Township Atlas: A History of the Minor Civil Divisions in Each Arkansas County. Hot Springs, Ark. : Arkansas Genealogical Society, 1989.